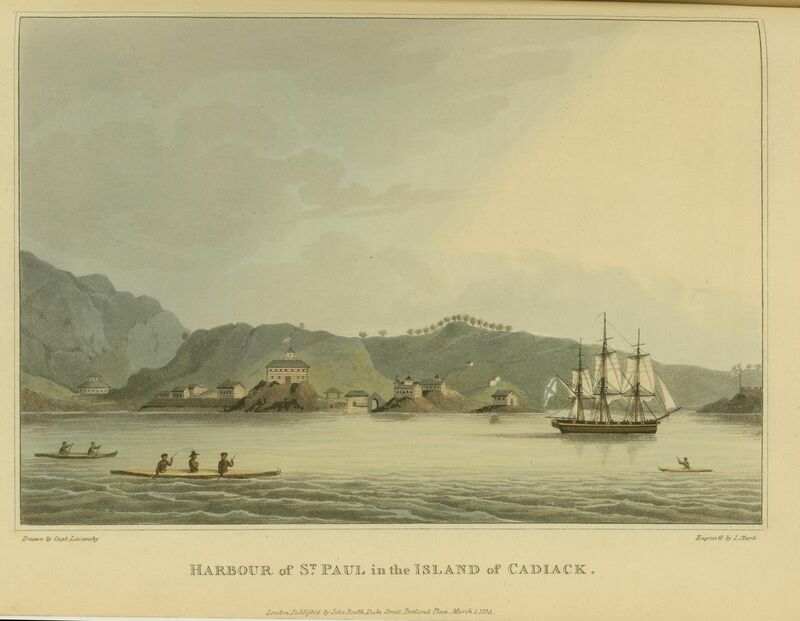 The Neva in Kodiak, drawn by Capt Lisyansky, engraved by I. Clark. Published by John Booth, Duke Street, Portland Place, London, 1 March 1814. Two centuries ago, a doomed — and some say cursed — Russian ship grounded and broke apart off of Southeast Alaska. Thirty people died and the survivors spent nearly a month in the wilderness before they were rescued. Now, in the dense rainforest on a remote part of Kruzof Island, archaeologists have finally identified the campsite used by those who survived the wreck of the Neva, an ill-fated ship that was once an important vessel in the Russian navy. When the Neva wrecked in January 1813, 54 years before the Alaska purchase, 32 people perished and 28 made it to shore, where they camped in midwinter conditions. Two of those in the camp died, but the other 26 were rescued after about three weeks. The exact location of the wrecked ship and the survivors' camp was a longtime mystery — until now. An archaeological expedition confirmed that an ocean-facing site of Kruzof Island was where the Neva wrecked and where the survivors held out until their rescue. 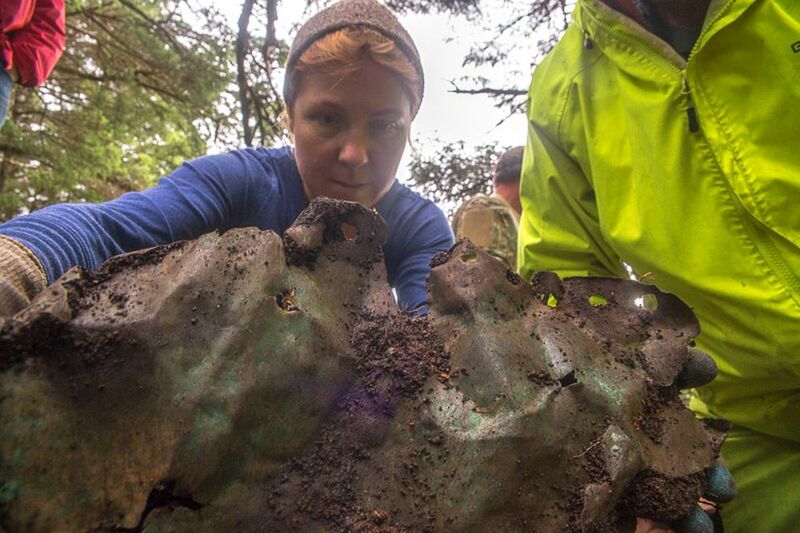 "The Neva's one of those sagas that's almost legendary in Alaska and folks have been looking for it for 200 years," said Dave McMahan, a former Alaska state archaeologist and the chief investigator on the National Science Foundation-funded expedition. The eroding terrace where the Neva survivor camp and the outline of a coffin burial were discovered. Photo by Dave McMahan, July 17, 2016. Findings are described in a newly published academic article in History, a journal of the Russian Academy of Sciences. It is not surprising that the site was overlooked for so long, McMahan said. "It's an area that's very rugged and remote and very difficult to get into," he said. 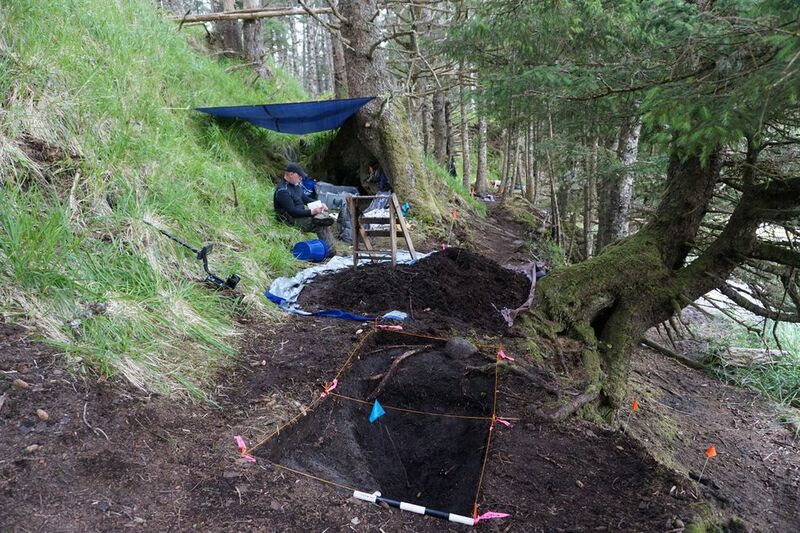 The first hints of the survivors' camp emerged in 2012, when McMahan and others supported by the state, the U.S. Forest Service and the Sitka Historical Society found remains of cooking fires and axes on Kruzof Island. That summer, the team tried to find other ship remains, but underwater and sonar searches were not successful, even at the lowest tide of the year. The metal-detecting equipment that is normally used to find shipwrecks proved useless in the waters off Kruzof Island because the rocks there are laden with iron, he said. It turned out that the camp and the artifacts left by the Russian crew members were much farther inland, inside the forest. "So we had been looking in the wrong place all along," McMahan said. The team returned in 2015, with support from the National Science Foundation. After that field season, where some fire pits, burned bones and metal objects had been found, the team reassembled at the site last summer and made a trove of discoveries that confirmed the site was used by the Neva survivors. Among the 2016 finds was a gravesite, possibly that of Tertii Stepanovich Bornovolokov, the highest-ranking crew member aboard the Neva when it crashed. Bornovolokov, who had been named as the successor to Alexander Baranov as chief manager of the Russian American Co., was one of the two people who died after making camp on the island, according to historical records. The wreck was just the last of the misfortunes suffered by the Neva's crew on the ship's trip to Sitka. The captain drowned during an inspection tour before the voyage began, and 15 crew members and passengers died during the crossing from illness or lack of fresh water, according to historical records. Those misfortunes were not accidental, according to local Tlingit legend. The Neva had been used in the 1804 Battle of Sitka, and a shaman's curse on the ship and those on it was considered retribution for the Russian attack on the Tlingit people, McMahan said. Ironically, the isolated spot where the Neva survivors made camp is an area that is associated with local shamanism and is considered sacred, he said. 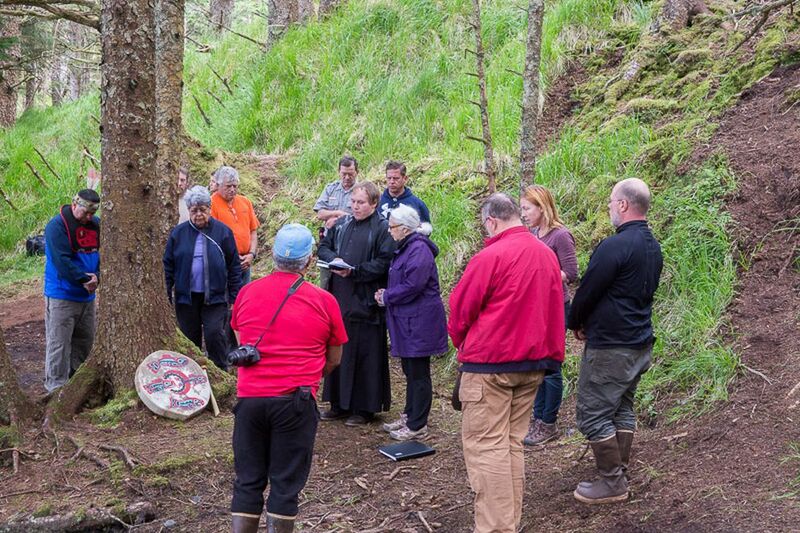 Last summer, 203 years after a local Tlingit boy found the Neva survivors and summoned a rescue team, tribal and Russian Orthodox officials held a joint blessing ceremony at the campsite — officially putting aside their ancestors' enmity. In the future, McMahan said, it is unlikely that the broken-up ship, or any significant part of it, will be found in the water. The kelp is thick and the currents are strong, so remnants are probably hidden or have been carried away, he said. Other pieces of ship could be embedded in the land, he said. "They are probably buried in beach sediments or dispersed in the forest," he said. That is because the land has risen out of what was formerly sea; there has been an estimated 11-foot elevation rise at the site since the Russian crew took shelter there, McMahan said. The rising and falling sea level in this area — a contrast to other coastal areas of the world where rising seas are claiming land — complicated the search for the Neva survivors' camp. 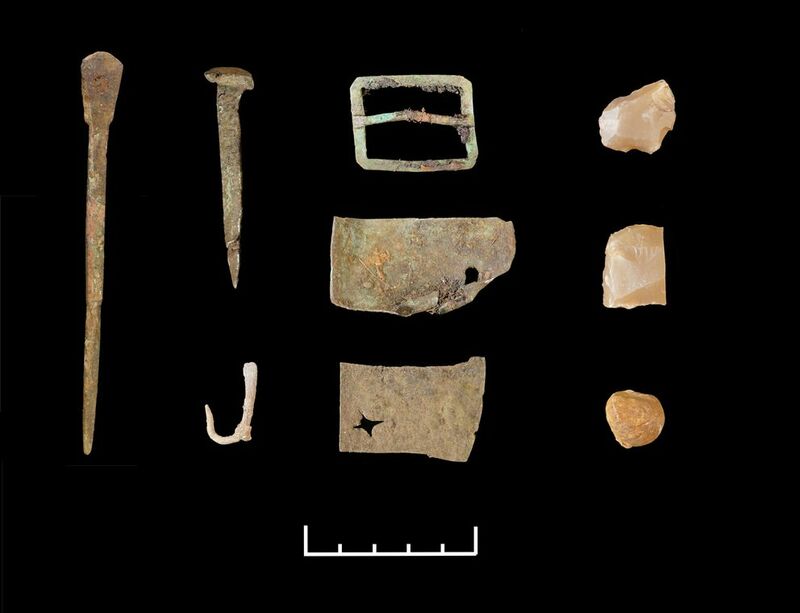 Artifacts that might have been expected along the beach were actually found farther away in the forest. For example, an entire array of campfire sites was discovered in the forested area, but excavation revealed sandy soils that showed the fires had burned on the beach. Land is rising in Southeast Alaska because glacial melt is relieving some of the weight on the land, causing geologic "rebound," a phenomenon seen in other glaciated regions like Greenland and Antarctica. Also helping thrust Southeast Alaska's land upward is the movement of overlapping tectonic plates. In Southeast Alaska, scientists say, the land has been rising since about 1770 — well before the Neva set sail for Sitka. The rebound is now noticeable and is expected to continue and to eventually create a land link between Juneau and adjacent Douglas Island, among other changes.